Carmel-by-the-Sea, often simply called Carmel, is a city in Monterey County, California, United States, founded in 1902 and incorporated on October 31, 1916. 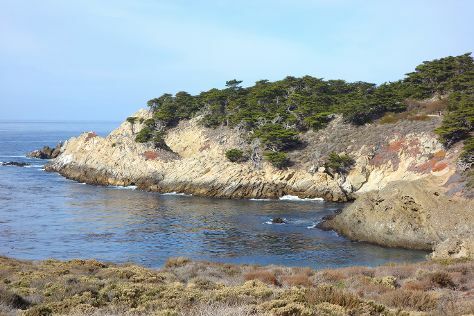 Explore the numerous day-trip ideas around Carmel: Big Sur (Pfeiffer State Beach & McWay Falls), Santa Cruz Beach Boardwalk (in Santa Cruz) and Elephant Seal Rookery (in San Simeon). There's much more to do: enjoy the sand and surf at Point Lobos State Reserve, steep yourself in history at Pacific Biological Laboratories, tour the pleasant surroundings at Carmel City Beach/Carmel River Beach, and admire nature's wide array of creatures at Monterey Bay Aquarium. For more things to do, ratings, traveler tips, and other tourist information, refer to the Carmel trip itinerary maker. Use the Route module to find suitable travel options from your home destination to Carmel. In July, daily temperatures in Carmel can reach 68°F, while at night they dip to 55°F. Finish your sightseeing early on the 1st (Tue) so you can travel back home.